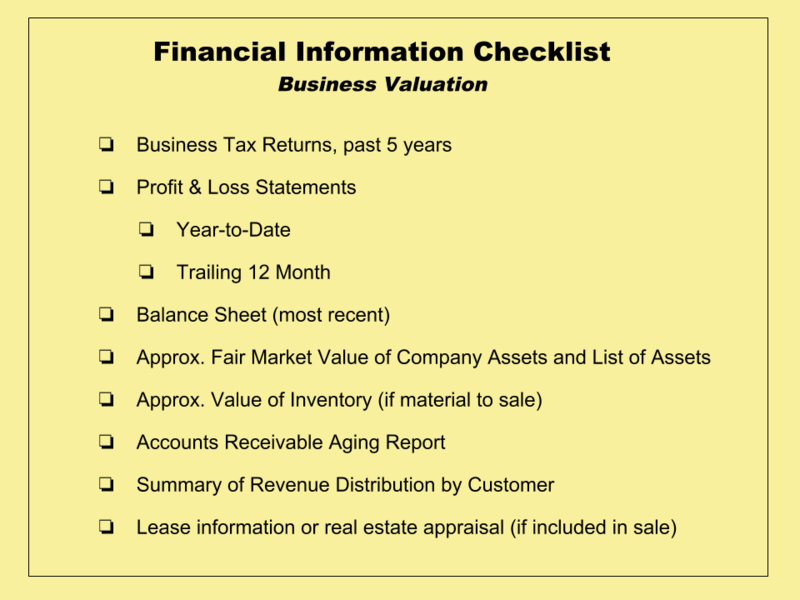 When you are ready to find out how much your business is worth, providing current and accurate financial information for your business valuation is key. Business valuations take a variety of factors into account, including financial performance, industry and type of buyer likely to purchase the business, to name a few. If you are considering using our advisory firm to represent you in the sale of your business, we are happy to provide a simple business valuation for free.